When we cook spaghetti, it is usually with either a white or a red sauce. This recipe is totally different from what we are used to, as the sauce is composed chiefly of caramelized shallots and silverbeet. We were mildly surprised that we liked this recipe. 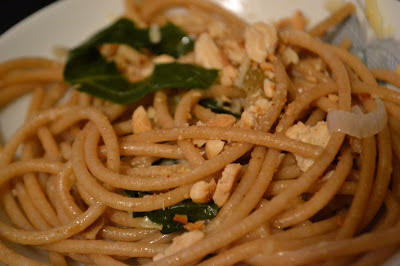 We also brought some to two gatherings and the pasta was well-received! 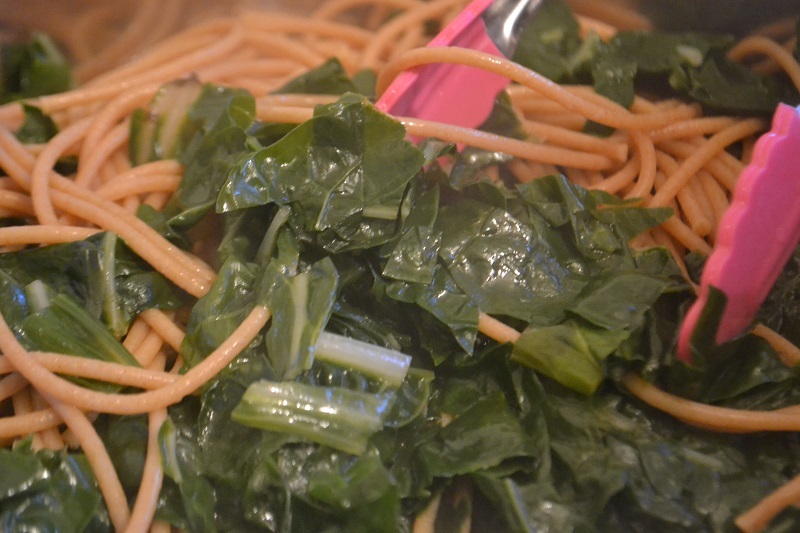 This recipe is inspired by Rachael Ray's 10-shallot spaghetti with kale. We were going to follow the recipe as is, but my wife could not find for kale so she settled for silverbeet instead. And before we knew it, we have substituted the other ingredients with something more readily available also. The result is our yummy take of Rachael's recipe. What can I say... my wife is a big Rachael Ray fan! Heat a couple of tablespoons olive oil over medium heat. 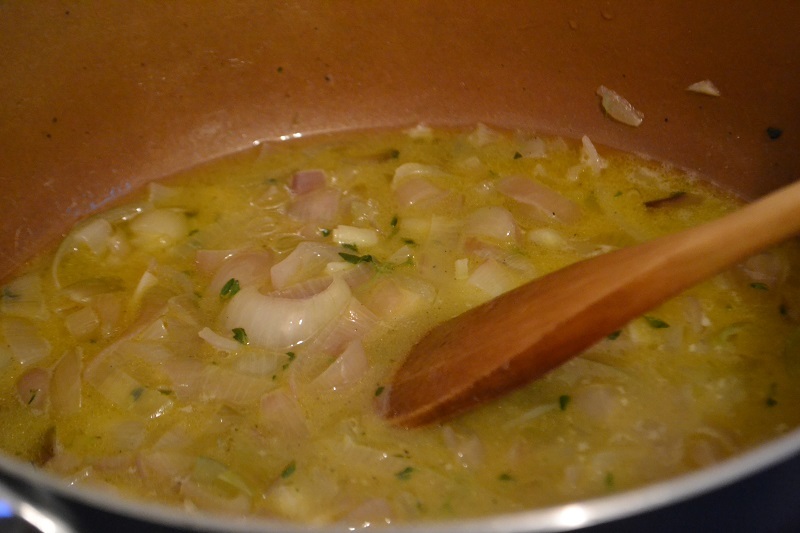 Melt the butter in olive oil, then add the chopped shallots and garlic. Season with salt, pepper and thyme. Stir frequently and cook for about 20 minutes or until translucent. Add salt to the boiling water, then add the spaghetti, taking note of cooking time as per packet directions. At the last 4 minutes of cooking, add the silverbeet. 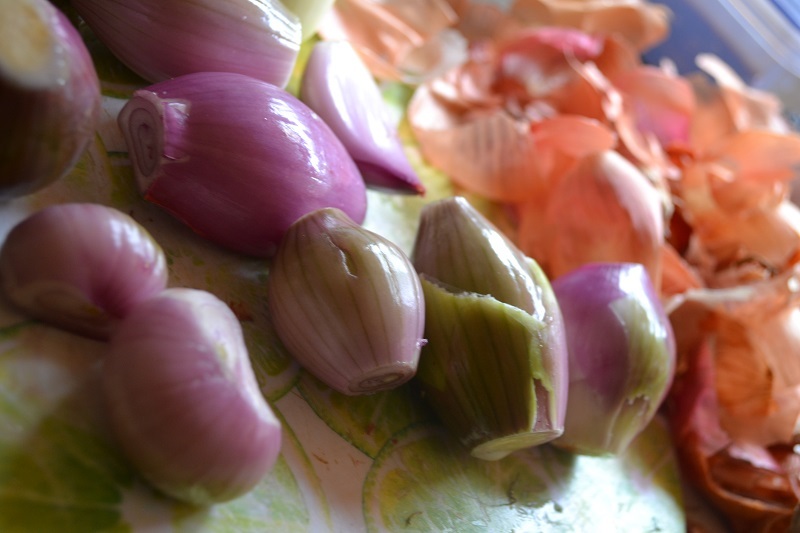 Add a cup of the pasta water to the shallots. Drain the pasta and silverbeet and add to the shallots and garlic. Toss, adjusting the flavour with salt and pepper. Add a generous amount of grated Romano cheese and continue tossing. 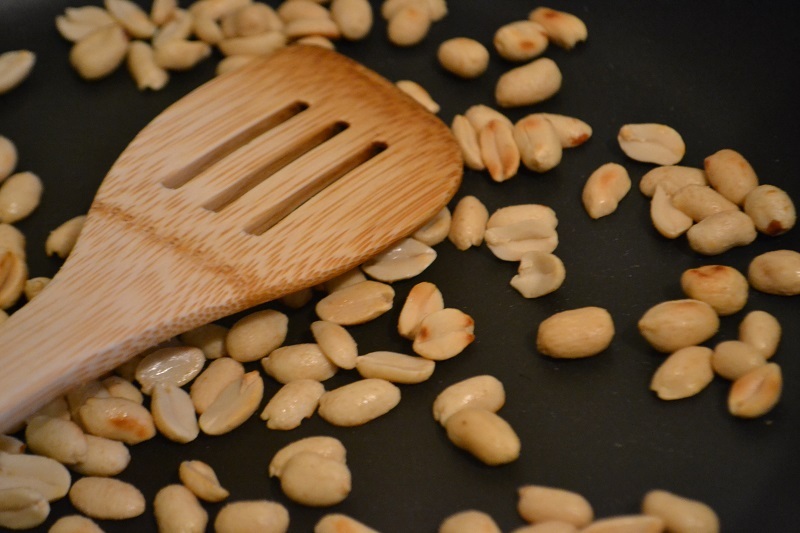 For our version, we placed the ground peanuts and chilli flakes on the side; guests can choose whether to add this or not.